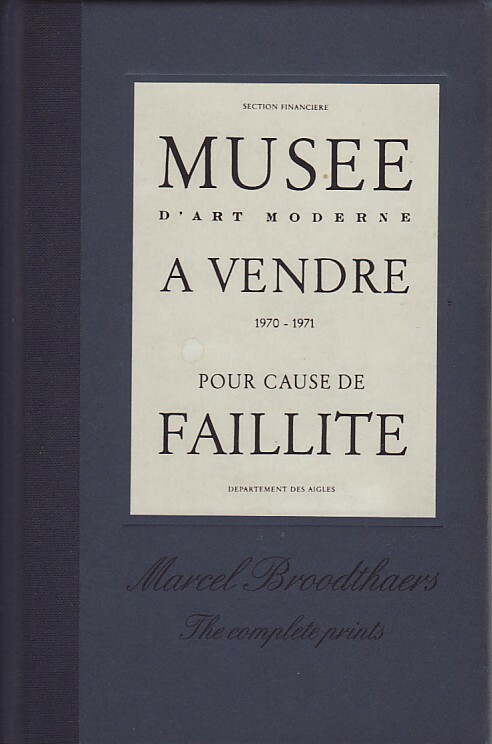 Since 1945 Marcel Broodthaers has been associated with the revolutionary Surrealist Group. 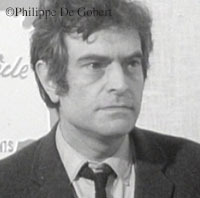 During the first period of his life he used to work as a journalist, filmmaker and poet. 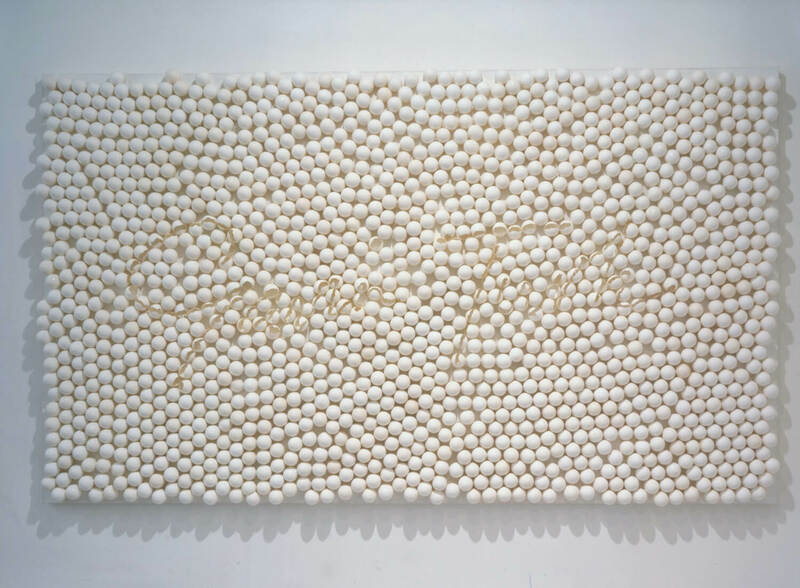 His own poems turned to transform later into plastic material when he decided to become an artist. 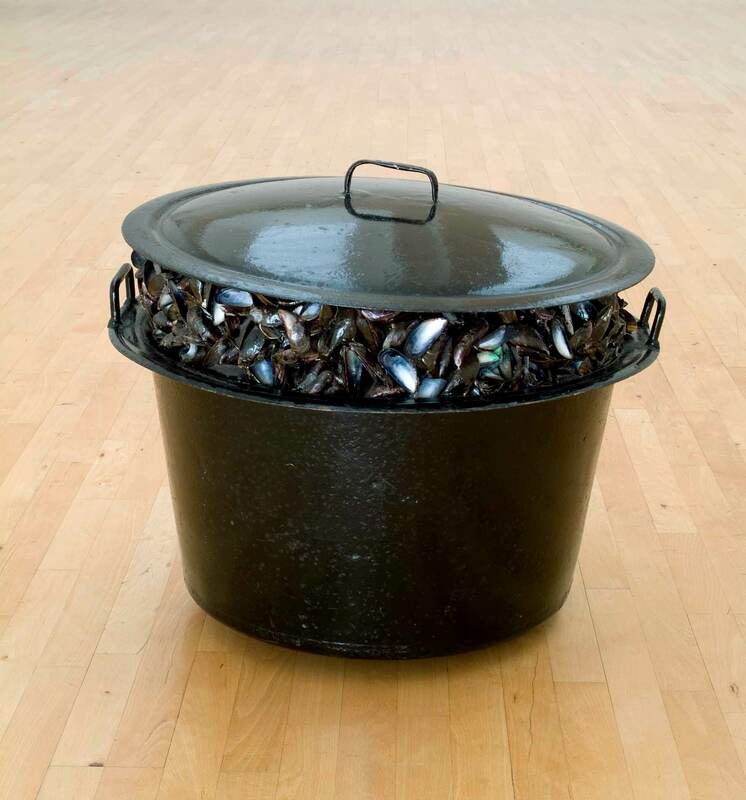 His work is composed with objects, strange and unusual accumulations disposed without any sense in order to infringe orthodox categories of logic and rationality. As he intends to explore the labyrinths among language, image and thinking, he deconstructs other author’s texts, and restitute them back into an out of phase space. 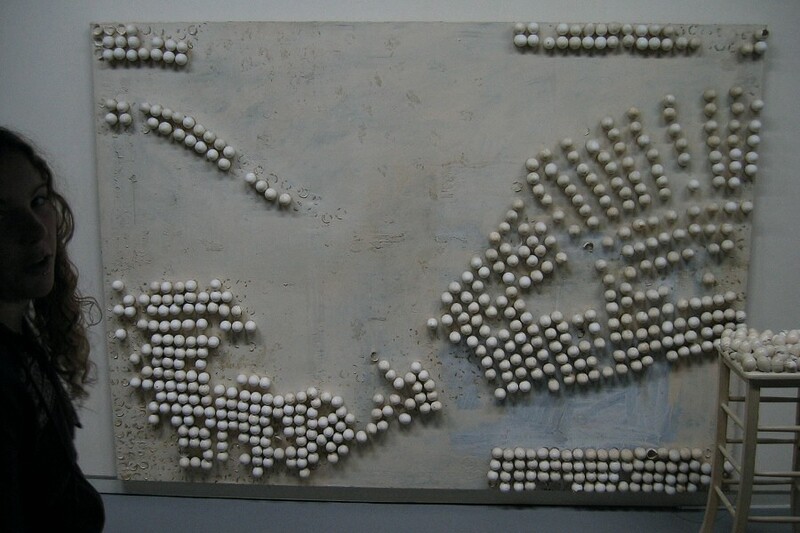 His exhibitions are criticizing concepts as observation and exhibition, museology and museum. 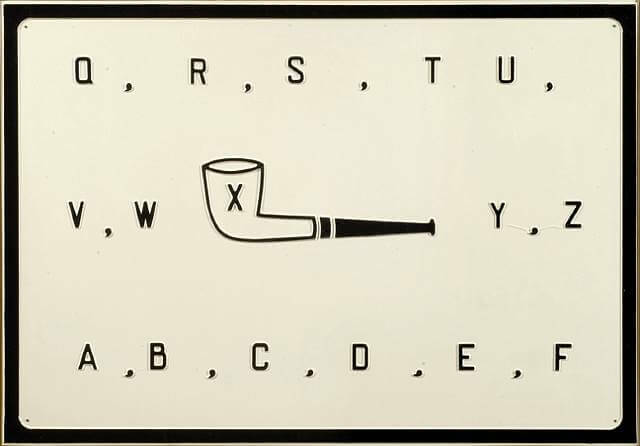 “La pluie (Projet pour un texte)” from 1969 proposes an autobiographical portrait. 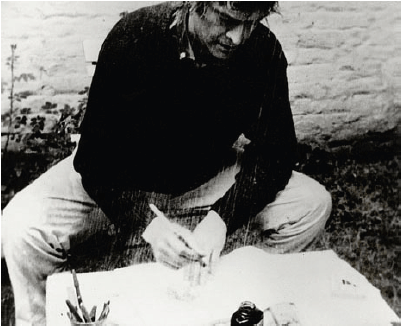 The artist struggles and tries to write a text under the downpour and finally gives up; the text constantly turns indeed into drawing as long as the author is writing, watered by the rain that falls. Click here to read something more about the artist. Click here to see something more of him at the Marian Goodman Gallery.